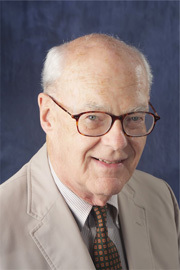 Dr. Vance joined Virginia Hospital Center as a Board Certified Diagnostic Radiologist July 1967. He worked for Drs. Groover, Christie and Merritt for 2 years prior to that time, following residency training. Radiology residency followed 3 years in the U.S. Navy, one of which was a rotating internship. His radiology activities concentrated on fluoroscopy and plain film interpretation. After 42 years, Dr. Vance retired from the Virginia Hospital Center. His presence in the reading room and with patients will be sorely missed.